Most solo sailors appreciate a helping hand from their autohelm. This steers the boat in the chosen direction while you run about the boat sorting the sails, or fenders or the anchor. Well mine had been having a difficult time of it. The battery lasted about an hour with very little power being used by Poppet’s electrical equipment. 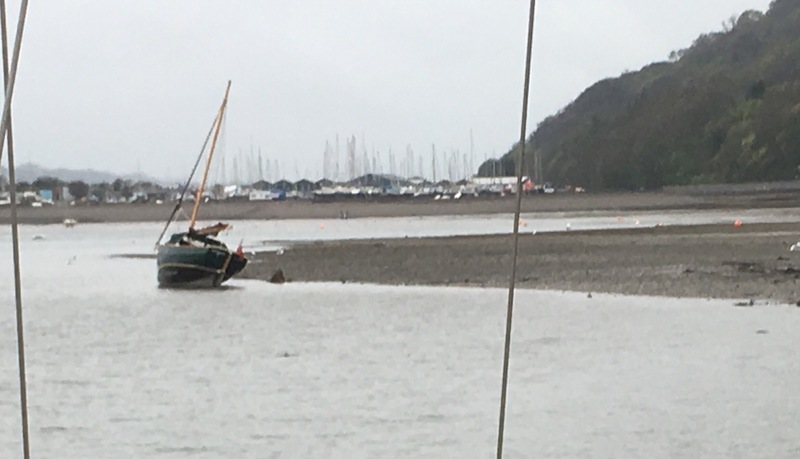 The depth sounder and the vhf radio uses very little, so the main drain was the autohelm – or so I thought… I bought a brand new leisure battery which had been fully charged, so all looked hopeful and I was ready to go… Yey! Let’s go sailing! It was great, rather damp but fun… Poppet happily bounced into the waves and yet the cockpit was stable. 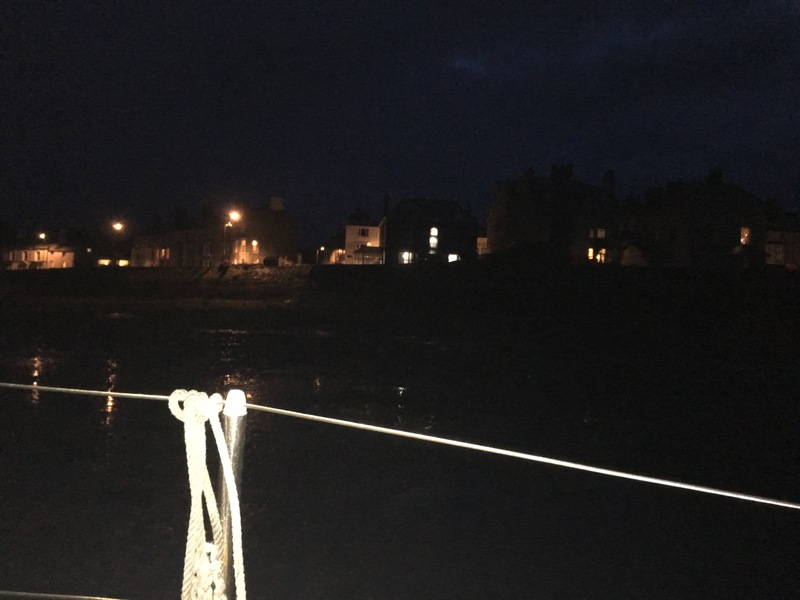 So after a chippy tea and a pint in the local, off we went back to the boats… it was a lovely star lit night, and I really enjoyed being on a mooring for a change. 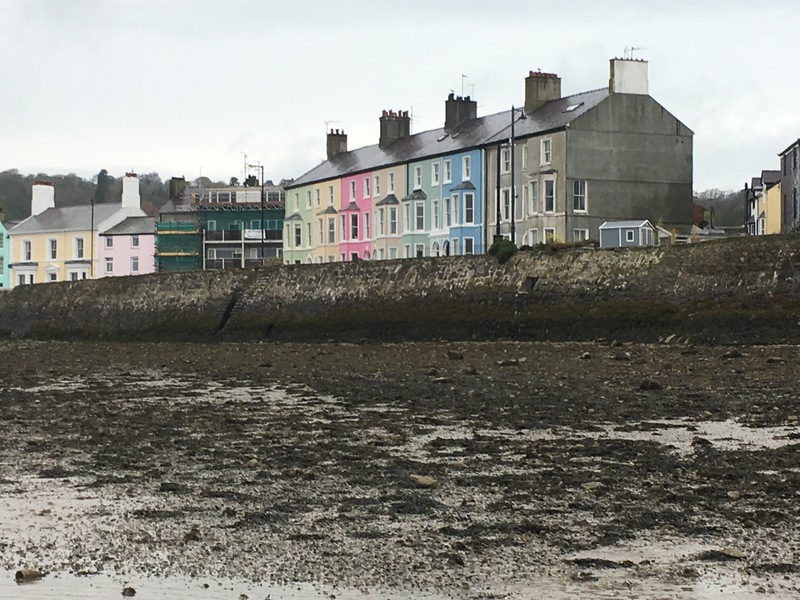 The next day, after a bacon butty, and working out the tides for slack water etc we left our moorings and with the wind directly on our bow we motored down the straits and through the swellies (notorious section of water in the Menai Straits). I got all excited when we passed a boat I recognised – Talaris, and waved like an over excited loon!! 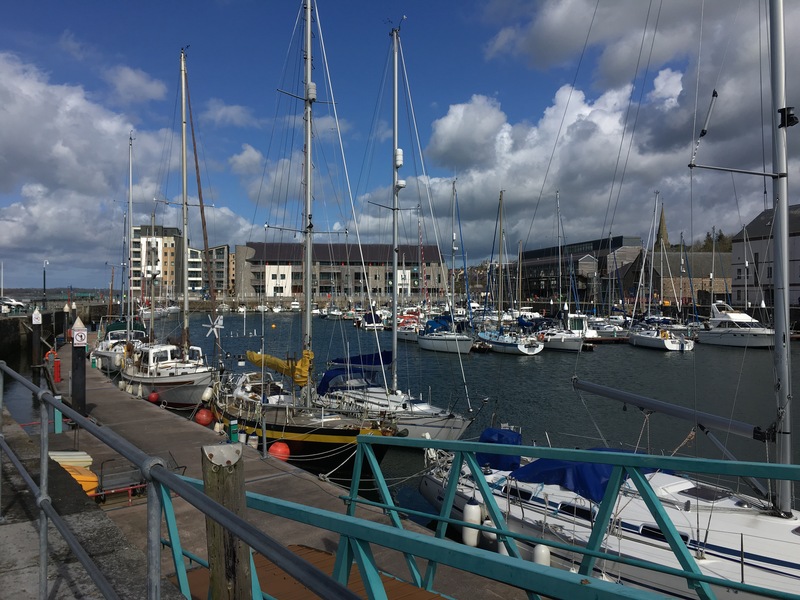 After realising that we weren’t being joined by the rest of the sailing club guys, off we went to meet up with my friend at my favorite ice cream and pancake house, Scoops, then went for a drink (or 3!!) at a nearby pub. The next day, feeling rather thick headed, we decided to go back to Conwy, the wind was such that if we didn’t go today we would have to motor… well the best thing about having a sailing boat is when you turn the motor off, you are still moving, there is no noise apart from your hull cutting through the waves and the sound of your terribly trimmed sails luffing if you’re on poppet haha!!! So, one of us with a wet leg, and the other with a sore head, we sailed back, Traumatic miles ahead of Poppet! No surprise there! Anyway – the sail was great, the sea slightly lumpy, the arrival into my berth was my worst ever! Tired, panicked! Argh!!! It was that bad that I was never going to sail again in fact!